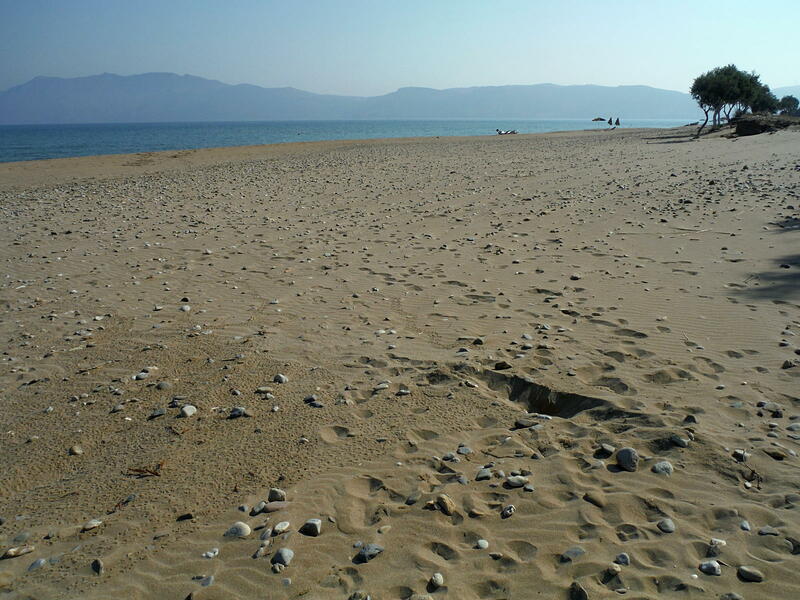 Plenty of sea turtle nests have been recorded along the beaches of Kissamos Bay, and the new generations have been coming out of their nests consistently throughout the second half of the summer. As the baby turtles normally come out at night and make their way to the sea, they leave tiny tracks on the sand. 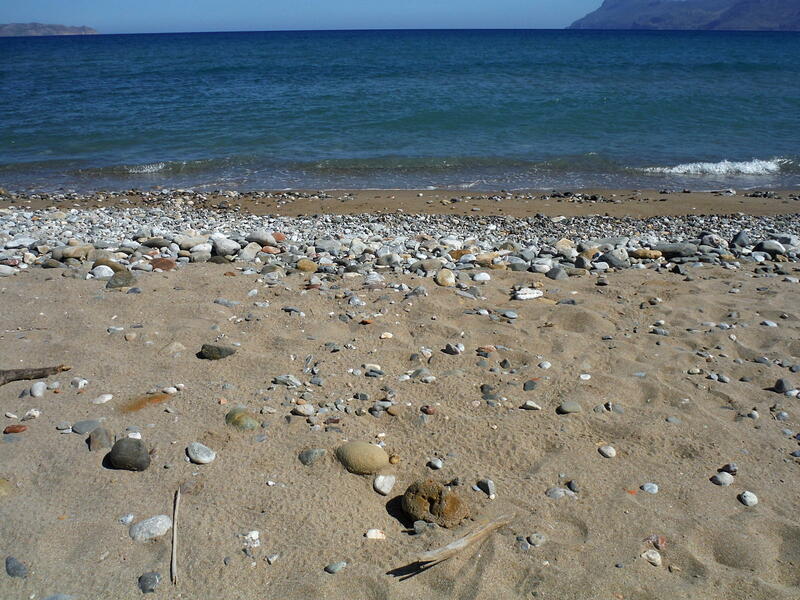 At least 10 separate nests have been seen hatching on Kissamos beaches, from Viglia to Mythimna, including a few very close to Kissamos town. More have probably hatched unseen. All tracks seen led to the sea, which means that about a thousand little turtle hatchlings have started a new life, and are expected back to the same beaches to mate and nest in about 20 years!